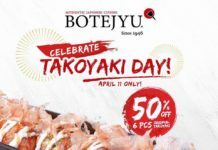 Home Food & Beverage One Day Only: Zark’s Ultimate Burger for Php8!!! 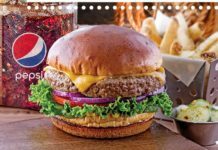 One Day Only: Zark’s Ultimate Burger for Php8!!! Happy Anniversary, Zark’s!!!! 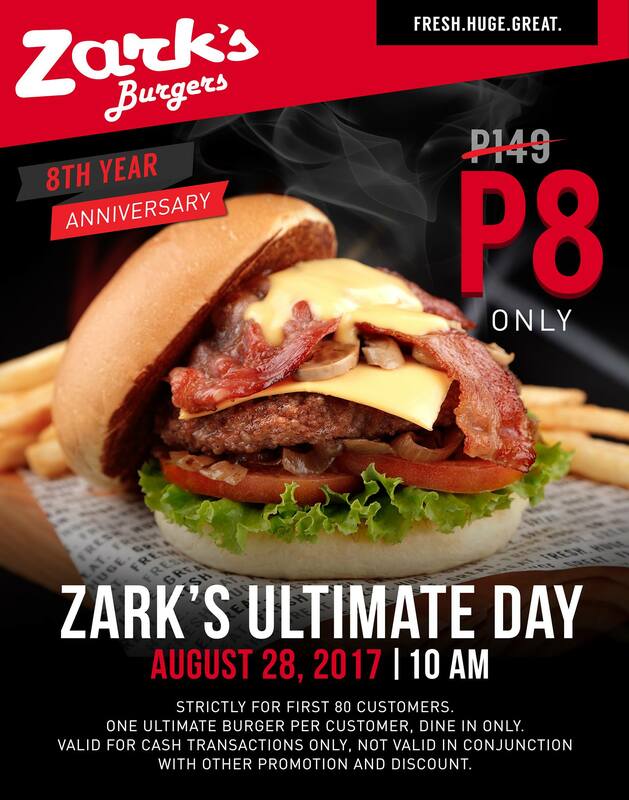 On August 28, 2017, first 80 customers can avail of their Zark’s Ultimate Burger for only Php!!!! 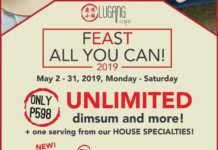 *First come, first served. Strictly no reservation. Previous articleForever 21 Mega Sale: Tops as low as Php199! OMFG!!!! Next articleKrispy Kreme Mixed Dozen for Php299!! !